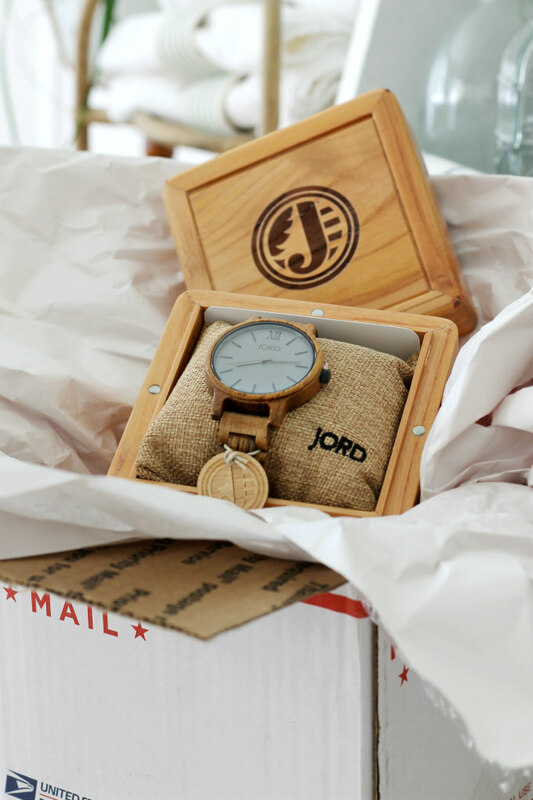 Wood Watch from JORD & A GIVEAWAY! When it comes to my personal style, I'm really just a casual jeans and t-shirt kinda gal. 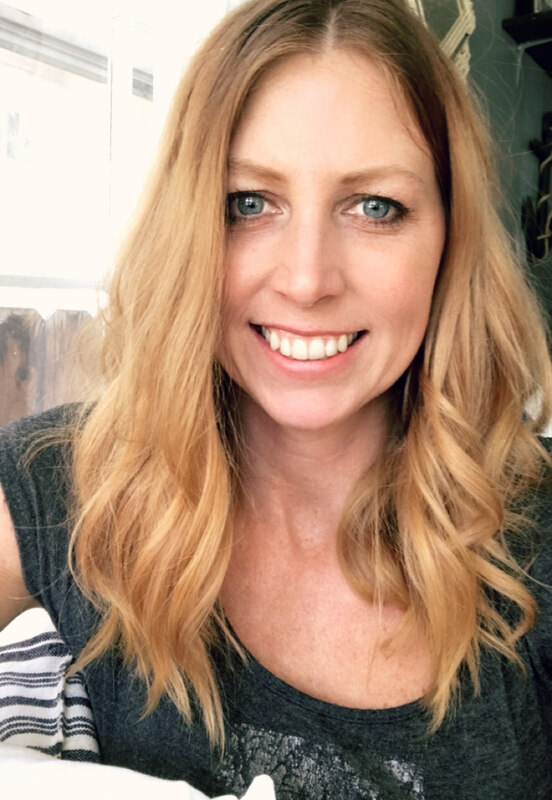 My day consist of school pickup lanes, errands around town, and watching my boy's football and soccer games, so it really doesn't make much sense for me to get all dressed up everyday and therefore I don't bother too much with trendy jewelry or accessories either. 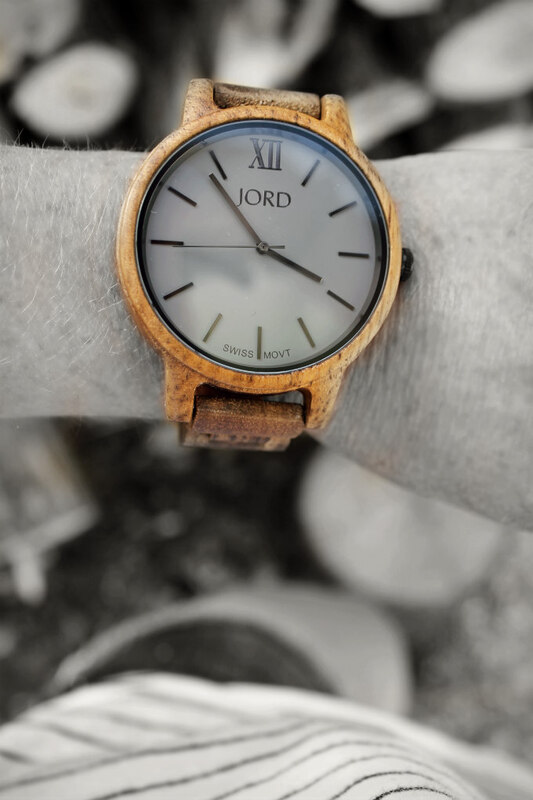 So when I heard about these beautiful wood watches from JORD, I got really excited. There is something so special about this unique watch that is just timeless and can be worn with just about anything, even jeans and a t-shirt. I picked out for myself the woman's watch Koa & Ash from the Frankie series, and I was blown away when I received it in the mail. This is the most beautiful watch I have ever laid eyes on. It is such a cool watch! It came packaged in it's own beautiful wooden box that is a treasure in itself. It's also the perfect packaging if giving it as a gift. And I should also mention that JORD Wood Watches also carries Men's watches too. 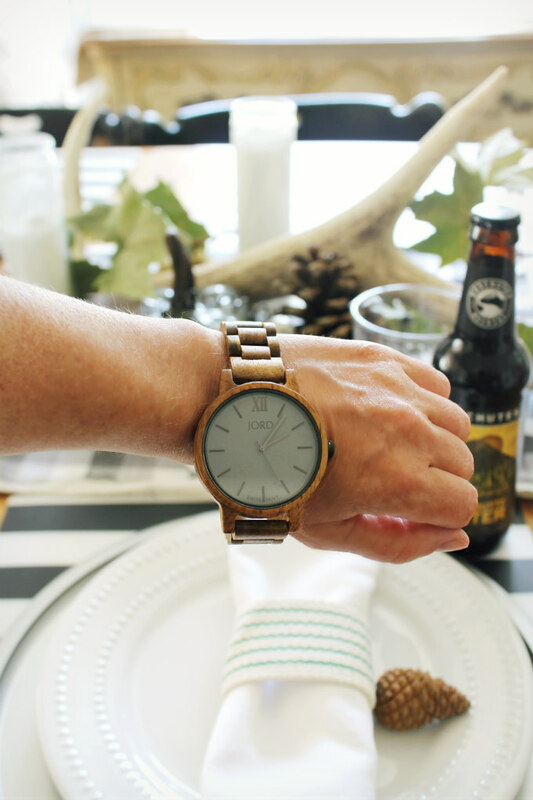 I chose the Koa & Ash watch because Koa, in case you didn't know, is a native wood that comes from Hawaii. My husband and I got married on a beach in Hawaii, and so I was personally drawn to the Koa wood watch. I also like the way that the Koa wood compliments my skin tone. These watches come in so many different kinds of wood that you will be able to find the perfect one for you. 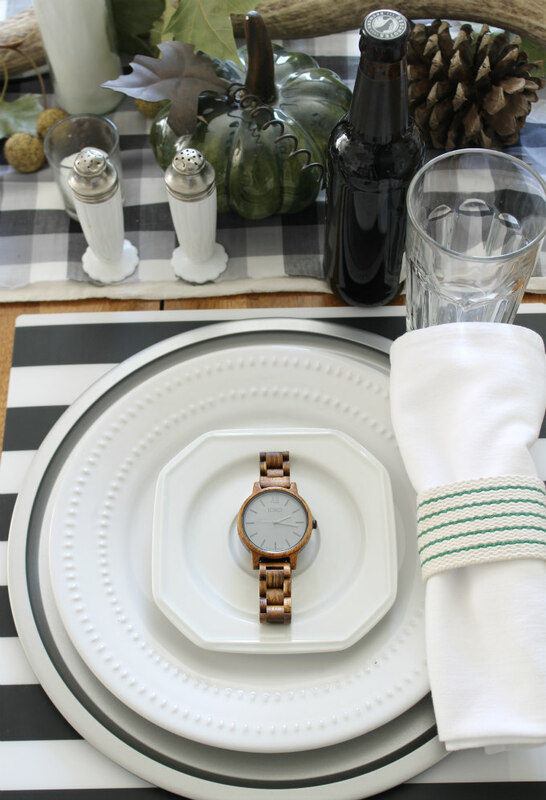 This watch is the perfect accessory for Fall. When I placed it down on my Fall table setting to take a picture of it, I was surprised at just how great it looked with the rest of my fall decor. 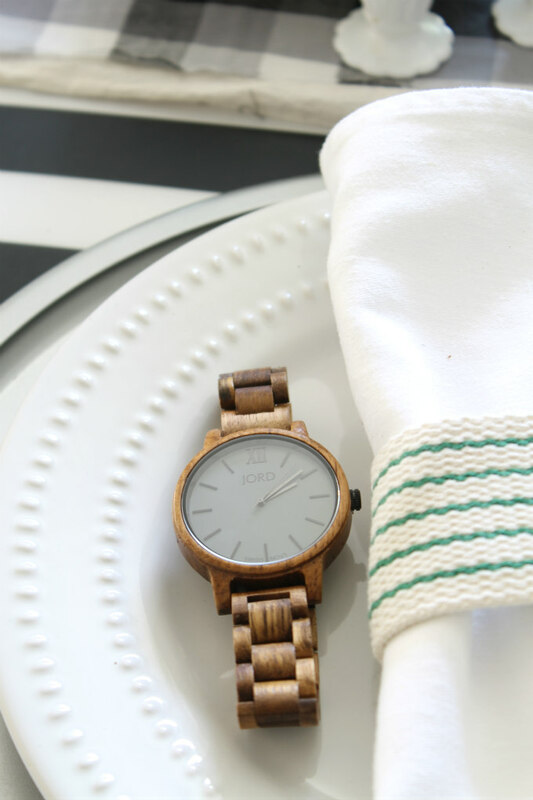 Now, the Lucky for YOU part, JORD Wood Watches gave me the opportunity to have a GIVEAWAY so that one of you can win a $75 e-gift code to spend at their store. And Here is how you can enter to WIN! All you have to do is CLICK HERE and enter your name and email address, that's it! The GIVEAWAY closes 10/9 at 11:59 pm. Winner gets a $75. e-gift code to their shop and will automatically be selected and emailed. All other entries receive a $20 e-gift automatically emailed to them just for entering!!! If you don't already follow me on Facebook or Instagram, definitely head over and follow for future projects and updates. "This post was sponsored by JORD Wood Watches"
Beautiful watches ! Thanks for sharing !